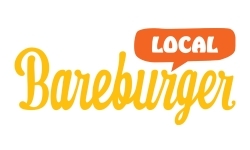 New York, NY, March 08, 2019 --(PR.com)-- Bareburger Restaurant Group has left Levelup and partnered with LunchBox Technology to launch a revamped online ordering app for all of its 39 U.S. locations. This is the first step in a series of maneuvers that will allow Bareburger to be free of all 3rd party delivery partners by the end of 2020. The new Bareburger App launched in early February 2019. The app went through a complete makeover mimicking its own online ordering website. From menu layout to guest rewards and account access, the easy-to-navigate app has it all. This similarity was not done by accident. Bareburger plans to leave behind all of its 3rd party delivery systems within the next two years. Bareburger began creating familiarity within its ordering platforms, allowing guests to have a seamless transition between browsing and ordering. Familiar interface aside, the app has a feature that the online ordering page can’t claim: Augmented Reality. “Augmented reality technology creates an experience that, so far, we’ve probably only seen in movies... Additionally, augmented reality allows your customers to see a 360-degree, digital rendition of each menu item right in front of them,” discloses Alamgir. “When partnering with tech companies to deliver this feature to your customers, focus on creating a very simple, very easy user experience. This will translate to a better customer experience,” Alamgir added. The AR experience was something that Bareburger advertised on their printed menus at their original, 31st Avenue location in Astoria, New York. The boost in customer engagement led to its addition on the Bareburger App. The new Bareburger App allows users from the old app to login with their original information. Any prior reward or credit that was achieved on the old app has transferred over to the new Bareburger App. Despite the app change, the Bareburger mission remains the same -- to serve fresh, delicious, and sustainable food. Bareburger is the leader in America's "better burger" trend, emphasizing high-quality, ethically sourced, organic ingredients in a casual environment. Founded in 2009 in a vacant bakery in Astoria, New York, Bareburger has grown to 47 locations in four countries. Bareburger is ranked among the 10 most sustainable restaurants in America and a "breakout brand" by Restaurant News. Bareburger emphasizes delicious, sustainable ingredients without artificial flavors. Bareburger is a four-time winner of a prestigious Michelin Guide recommendation and has received multiple awards from the James Beard Foundation. For more information: www.bareburger.com.